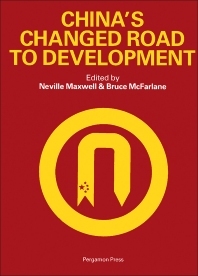 China's Changed Road to Development covers papers on the very different attitudes to social and economic development that have emerged in China since 1978. The book contains papers on the logic and limits of Chinese socialist development; the underlying factors and prospects of China's economic system reform; and the political economy of class struggle and economic growth in China from 1950 to 1982. The text also includes papers on Chinese market mechanism; the changing relations between state and enterprise in contemporary China; and the trends in Chinese enterprise management (1978-1982). The production responsibility system and its implications; the peasant labor for urban industry; and the single-child family are also encompassed. The book further presents papers on Chinese Marxism since 1978; bureaucratic privilege as an issue in Chinese politics; and post-Mao China's development model in global perspective. Party Building Since Mao - A Question of Style?